Caplor Horizons has a dynamic team of Advisors, specialising in a wide range of fields. Advisors contribute time and expertise for the benefit of society, doing this on a voluntary or reduced rate basis. In this way we support smaller organisations that might otherwise not be able to afford high quality services. We have a small team of Staff, a voluntary Board of Trustees, and a growing membership base. Scroll down to find out more about our Trustees, Staff, Advisors and Membership. Below is a selection of our advisors. Clicking on the photos will show you the relevant biography. Ann is a highly experienced and skilled facilitator, coach and designer of experiential learning. She specialises in transferring knowledge and skills, gained over 30 years in learning and development, to other professionals through her writing, coaching, mentoring and delivery of highly regarded international trainer training workshops. After training as a teacher, Ann taught in a comprehensive school then spent two years as a VSO volunteer training teachers in Sri Lanka. She has management experience in one of the UK's leading Development Training Centres, where she created an in-house professional development programme for 40 learning and development specialists, and has owned and managed a successful commercial learning design business. Over the last decade, Ann has worked with international leaders, managers, trainers and facilitators, developing their competence in communication, inter-personal skills, teamwork, leadership and the development of people through coaching. She has trained teachers and facilitators from China, Taiwan, Turkey, the USA, Sri Lanka, Brazil, Kuwait and Angola, as well as speaking and running experiential learning workshops at conferences including ASTD in the USA and CIPD and the World of Learning in the UK. Her most recent work has been within the World Health Organisation. Projects included training Biorisk Management technical specialists to deliver training using experiential and learner-centred methodologies and supporting the management development of medical professionals responsible for the Polio Eradication Programme in Nigeria and Pakistan. Ann is the author of 'Pattern-Making, Pattern Breaking', a practical guide to designing and facilitating learning, using experiential learning methods to support behavioural change which was published by Gower in October 2010. Liza specialises in organisational change management using over 20 years' high level leadership experience to build high performing, sustainable teams quickly and effectively. Key Attributes: Transforms businesses; Drives organisational change; Identifies & develops key people; Challenges convention; Brings the best out of people. Dan has a background and education in food and agriculture with a specific focus on business management, economics and marketing. Dan also has leadership, board level and management experience in the not-for-profit sector including an international relief and development NGO and the UK's leading foodbank charity, with experience of working in 14 countries in Africa over the last 25 years. For 9 years, Dan was Managing Director of a family business. And prior to this he was Operations Director for 4 years. The business operated in the UK dairy supply chain. It grew from £4m to £40m turnover per year, whilst he was leader and ultimately employed 285 people. Dan has a proven track record of small business acquisitions in the UK, having successfully acquired 9 such entities and successfully project managed and integrated these into existing operations. He also has experience of successfully negotiating purchase and supply contracts varying in value from £1m - £12m and the provision of advice on strategy to smaller independent businesses. Today, Dan works as an advisor with the aim of sharing his leadership & management experiences with the not-for-profit sector to allow individuals and organisations to develop sustainably and successfully. Having just finished A Level qualifications in Communication and Culture, English Language, and Sociology, I hope to take my interest for the world around me a step further in pursuing a degree in Anthropology and Sociology at Durham University. My passion for culture and society derives from my half Filipina, half English background. Since recently taking a trip to the Philippines to see my family I was able to immerse myself in a completely contrasting culture; observing how they adapt and handle different situations in their own society inspired me to gain a better understanding of social environments, especially one so close to my own heart. Along with this cultural experience, I grew up living in the provinces of Saskatchewan and Alberta in Canada until secondary school - an incredible experience I will take with me throughout life! I believe acquiring knowledge about diverse cultures and societies is undeniably advantageous in all aspects of life, especially within our increasingly globalized society. “We are continually faced with a series of great opportunities brilliantly disguised as insoluble problems” - this is a quote that has largely influenced my attitude and outlook on life, and is relevant to the current issues CaplorHorizons wish to address. I believe that social media and communications as a force for change is particularly relevant in helping to achieve this, especially within our hyper-technological society. I am motivated to play an active role in helping to contribute to these issues. Professor Ian Bruce CBE is President and founder of Cass Business School's “Centre for Charity Effectiveness”. He was Director General of the Royal National Institute of Blind People (RNIB) for 20 years. He continues to teach, research and undertake consultancy, curating and chairing the National “Charity Talks” lectures. He is Senior Adviser to KnowHowNonprofit the online informal learning resource. He is Vice President of the Royal National Institute of Blind People (RNIB). Ian started his career with Courtaulds and Unilever as a marketing manager, and has worked in the voluntary sector as Assistant Director of Age Concern England, gaining his first chief executive role at the age of 29 at The Volunteer Centre UK (now Volunteering England). He has also had experience in local government as Assistant Chief Executive of the London Borough of Hammersmith and Fulham. He has founded 12 third sector organisations and has been, or is a trustee, of many more. Ian's particular interests are non-profit strategy and marketing. His book “Charity Marketing” is in its fourth edition. He was awarded the CBE in 2004; also “outstanding achievement” awards at the National Charity Awards 2001 and 2003. David pursued a career in IT for 30 years living and working in Japan, Switzerland and Turkey as well as the UK. He's worked for PwC, Union Bank of Switzerland and, most recently, as IT Director for a national UK law firm. 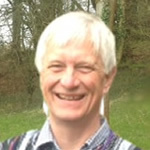 Having been privileged to be a part-time facilitator at the Leadership Trust since 1994 he gained an MA in Coaching and Mentoring in 2010 and now works on a self-employed basis. Passionate about Leadership Development he has coached in India, Africa, North America and across Europe working with executives at diverse organisations from Concern Universal to the Ministry of Defence, from Construction to Healthcare. He is also a member of CaplorHorizons. He is really looking forwards to contributing further to Caplor Horizons. When not at work or being kept busy by his two teenage children David loves to be outside and enjoys walking (especially with his wife Hilary and dog Monty), skiing, travelling and tae kwon-do. Geoff heads up the Learning Design business at the Scottish company, RSVP Design Ltd. He is a highly creative and skilled designer of developmental learning tools, activities and processes. His specific interests lie in the development of experiential learning environments within which participants can explore and experiment with the behavioural skills and competencies required to contribute effectively, either individually or in teams, to organisational development. These learning environments have proved highly effective in supporting significant organisational changes in major corporations, allowing hands-on experience of the forthcoming change. This experience also informs the design and development of digital learning solutions through Mobile Learning Design Ltd. In a 30-year career in learning and development-related roles some notable successes have been the design of widely-adopted business games including the creation of the 'Colourblind' exercise and the behavioural simulation “Shaping the Future”. A recent example of Geoff's work is a partnership between academics from the University of Cambridge, the World Business Council for Sustainable Development and RSVP Design Ltd, in creating a Sustainable Leadership programme for young international managers from WBCSD's member organisations. Geoff has a significant history of professional collaboration with top-flight business schools such as Harvard, IMD and CCL to design and deliver experiential programme elements and business simulations. His Doctoral Thesis charted the iterative, experimentally-supported translation of the Grabinger and Dunlap's research on the design of REALs (Rich Environments for Active Learning) model to meet the demands of experiential learning environments. This research forms the basis for many of Geoff's engagements with corporate and business school clients. The partnership working required to co-author these materials is considered by Geoff to be a welcome feature of much of his work. With 20 years' experience of cross sector working I am a specialist facilitator, writer and researcher. I have particular expertise in participatory engagement, leadership and team development; also a passion for turning talk into action, and the skills to support organisations and individuals strengthen their influence. My professional and academic background (MA Anthropology of Development) enables me to bring an understanding of sustainable development - environmental, social and economic - to my work. As Founding Director of independent consultancy 'Just Ideas', I support charities, public sector organisations and businesses working towards positive social or organisational change and environmental justice. This particularly focuses on developing strategy, linking it to action, and strengthening organisational effectiveness. I work as a Senior Associate with Institute of Voluntary Action research, including facilitation of cross sector partnerships through the Health and Social Value programme and the Building Health Partnerships programme - working with Local Authorities, Clinical Commissioning Groups and Voluntary, Community and Social Enterprise organisations to improve health and wellbeing outcomes in a number of areas across the UK. My work involves delivering a series of Model UN Climate Conferences with young people and developing and facilitating training for community organisations. William has a background in private equity as a Senior Partner of Graphite Capital, investing for over 20 years in medium-sized companies in the UK across all sectors of the economy. This work included getting to know companies well and working closely with their management teams to achieve optimal performance. Over the last 15 years William has diversified. He has held two hands-on chairmanships in the services and manufacturing sectors, working 1-3 days/week for TMP Worldwide and U-POL. He has also taken various roles (chair, trustee, governor, advisor) in NGOs and schools, with a focus on conservation and education. Amongst these he was the chairman of Fairbridge, an NGO working with highly disadvantaged young people. Fairbridge was later merged into the Prince's Trust where he remains on the Council (main board). Since 2008 he has been an advisor to tropical rainforest projects, REGUA in Brazil and TFCG in Tanzania. Today William works primarily as a consultant to conservation organisations, combining a love of nature with a strong belief that the conservation of biodiversity worldwide is one of the most important challenges facing mankind. His focus is on leadership and strategy, working with current and future leaders to enhance their performance and that of their organisations. In addition to REGUA and TFCG, his clients include the Marine Conservation Society, the Pacuare Nature Reserve and Rainforest Concern. Sandy moved to England from South Africa in 2000. She has a wealth of experience, including as a Property Manager for a busy letting agent in Herefordshire, UK. Sandy had this role for six years before joining Caplor Property in 2008. During that time, she achieved a merit award for competency in property management from the Association of Residential Letting Agents (ARLA). Sandy has a passion for people and within the Caplor Group she is also responsible for HR. She has been very actively involved with Caplor Horizons, particularly the Talent Team. When she’s not behind her desk she enjoys spending time with her family, playing golf, reading and volunteering in the soup kitchen at her local church. Formerly long-standing CEO of AVIVA, Richard is the Chair of PZ Cussons plc and a Patron of Concern Universal. He also chairs the Advisory Board of an innovative healthcare investment fund for the World Bank, is a Non-Executive Director of Jardine Lloyd Thompson plc and sits on the board of the Church of England Ethical Investment Advisory Group. Richard's achievements include the successful merger of Norwich Union and CGU in May 2000 to create Aviva, one of the world's largest companies. Richard has held various representative positions: he was Chair of the Association of British Insurers (ABI); a member of the CBI's Governing Council and the CBI President's Committee; a member of the European Financial Services Roundtable and the Geneva Association. In mid-2007 Richard and his wife Kay decided to take a 'gap year' with Concern Universal, and spent time in Kenya, Malawi and Mozambique. Since returning to the UK, they have continued to volunteer their time with Concern Universal, including engaging business in development. Richard was invited by Kofi Annan to chair a Business Advisory Group for the Africa Progress Panel, which has made recommendations for better business engagement in Africa. Ian and Richard have spoken together on many occasions - e.g. As key note speakers at the main National annual Philanthropy Conference for the Not-for-Profit sector. She is currently the Honorary Editor for the Porcupine Marine Natural History Society Bulletin which is published biannually. Vicki also works as an independent leadership trainer and coach and has a particular interest in experiential learning and developing training materials which can used as a catalyst for conversations. As a lecturer, tutor and coach, she has been working with people and their personal development for over 15 years. Vicki has been actively involved with Caplor Horizons in many ways, including on a leadership development programme in Uganda and helping develop the Caplor House model. For the past ten years, Clive has been using neuroscientific insights as the central core of his coaching practice. During this time he has worked primarily coaching Business Leaders and their Top Teams, supporting them to lead strategic business and cultural change. Having previously studied both psychology and sociology he now focuses on neuroscience to bring a fresh and powerful understanding of what it really takes to get the best out of people and organisations. He can personally call on 30 years of business experience including leadership roles in sizable organisations. Apart from top team facilitation and 1 to 1 executive coaching, Clive also runs coaching masterclass programmes for coaches, HR and L&D professionals who wish to integrate neuroscience into their knowledge and practice. Chandra is an experienced coach, mentor, trainer and educationalist with a track record in challenging and supporting improved outcomes for young people and their families. His deep awareness of how inequalities and disadvantage operate permeates all his thinking and work. He is passionate about transforming the lives of the young people who find themselves outside the mainstream schooling system. He currently runs an Interim Education Provision (ELS Education Ltd) in a deprived and multi-racial area of London. ESL’s vision is "to consistently provide clients and students choice and control”. Working with both students and their families, Chandra’s holistic approach, experience of inter-agency work, and passion for lifelong learning has made a unique contribution to turning around the lives of young people. This approach and a singular belief in the core worth of people as deserving equal rights has informed his approach to working with individuals and with groups. He has delivered training and offered executive coaching to a variety of individuals, including those in education, business and third sector,both; in the UK and in Europe. His training and development offers include a useful balance between experiential, reflection and theory to allow deeper learning. Professor Sharon Turnbull is a leadership development specialist and academic who has published widely in the field of leadership and human resource development, and whose interests are in global executive development, organisational culture and change. Sharon has a PhD in Management and an MBA (Distinction) from Lancaster University, where she is now a Senior Research Fellow. She is currently Cycle Director of the International Masters Program in Practicing Management, and a Visiting Professor at the University of Gloucestershire Business School and the University of Worcester Business School. Sharon is also a Fellow at The Leadership Trust in Ross-on-Wye, UK, having previously been Director and Head of Research there for a number of years. Her most recent book, written with colleagues from the University of West of England is entitled 'Worldly Leadership: alternative wisdoms for a complex world'. In her spare time, Sharon enjoys adventurous travelling and Herefordshire village life. Peter works as a consultant with NGO boards and senior teams on governance and strategy, primarily in international development. He is based in London with his wife and two children and has worked in 24 countries. Peter's own Board experience has been mainly with ActionAid since 2002, on the international, UK and Kenya Boards. He was deeply involved in the formation and development of the ActionAid International federation and continues to advise ActionAid on governance. Peter's growing focus on climate change echoes his origins as a physicist working on thermonuclear fusion as a long term source of energy. He then worked for 25 years in BP including scientific research, long term planning, oil trading, business development in Japan and global human resources. Denise is an independent personal development and executive Coach working within education, industry and healthcare. Early in her career Denise worked in engineering management before moving into healthcare, holding clinical and senior management roles in both the National Health Service and voluntary healthcare sectors. Her passion for personal and professional development began in 1998 when she became an Associate Facilitator at The Leadership Trust, the UK's largest provider of leadership development programmes. Denise is also an Associate Coach for UpRising, a UK-wide youth leadership development charity whose mission is to identify and support emerging leaders to reach their potential and transform their communities. Academic achievements include BSC (Hons), Dip. Personal Performance Coaching, Dip. Executive Coaching, PG Dip in Clinical Studies and Leadership. Denise lives on the Sussex coast, enjoying walking and cycling. Will is an experienced executive coach and facilitator specialising in leadership and team development. He is a qualified coach, MBA (Cranfield), chartered surveyor and chartered construction manager. Will's coaching and facilitation style favours insightful questioning informed by his natural curiosity and experience. He has a passion for helping people succeed whether at work or in his private life. Will's career experience includes commercial and general management in B2B express logistics, major infrastructure projects, house building, and public-private partnerships. He has lived and worked in the UK, the Middle East and the Far East. Will has board level including plc board experience as managing director and as director with functional responsibility for franchise, operations, sales, international operations and information systems. Will offers a powerful combination of strong analytical skills, senior management and leadership experience in challenging executive roles plus knowledge and experience in leadership development. This is combined with the ability to enable performance through effective coaching and mentoring. Ben has worked as a full time graphic facilitator and freelance consultant since late 2012, leaving KPMG's advisory practice to start his own company at the age of 24. Ben gained a Master's degree in molecular and cellular biochemistry and then started working with KPMG's internal business acceleration team, working to bring together key stakeholders to develop robust business outcomes for large scale transformation projects. Through this team he began to leverage his artistic skills, using visual images to help communicate information faster. Ben made the decision to strike out on his own, and since forming May Hill Designs, he has supported and delivered work for global organisations on five continents. He is a big believer in the power of understanding information quickly, and the ability of using illustration and empowered people to rapidly accelerate business learning and decision making. Ben has been frequently involved in charitable work - for instance, raising money for Mind. At University, Ben was the treasurer for Travel-Aid, a charity that runs education and welfare programs. During his first year at KPMG, he and two other graduates were one of three winning teams competing in the inaugural (and now annual) BRIGHT competition, a scheme where teams of employees throughout the organisation pitched ideas of how skilled consultants could use their time pro-bono to support their local community. Ben lives with his wife and two children in Tallinn, Estonia. Usha is passionate about giving a voice to, and developing the resilience of, those who do not have enough power to be heard. She enjoys thinking about how people can work collaboratively in order to improve direct delivery to communities and to re align the power balance between communities and the state. She pursues this by working with those with authority and power to provide public services - be it in Government or in the public and third sector generally. Usha has worked in senior roles in equalities and in social care. Also in designing and delivering management and leadership programmes and more recently in sustainable development and natural resources. Usha has experience of leading change in equalities, in building community resilience to future shocks of climate and other changes. Recently she has helped to deliver place based change programmes in different locations in Wales. Currently Usha works in the Welsh Government’s Natural resources and Environmental Directorate. Usha is an experienced coach. Simon has operated at board level for over twenty-five years, strengthening and leading management teams to maximise company effectiveness and ensure sustainable business development. He has worked with many high profile global organisations and has a solid track record of using strategic planning to successfully build commercial initiatives. Simon’s business approach is creative and collaborative and, prior to forming his first company in his mid twenties, spent his early career in IT and consumer electronics. His experience mainly encompasses sales, marketing and SME development, although he has also worked in a management role for a number of multi-national corporations. He is currently involved with a number of charities; however, his involvement with trusts and ‘not-for-profit’ organisations began in his early twenties, when he became a founder member of the Worcester Arts Workshop. This commitment continued when he served a 3-year appointment as a governor for an Independent School, supporting the headmaster and introducing fresh and innovative development ideas. He also helped to plan the school’s strategic objectives, ensuring its financial health and making certain that it conformed to legal requirements. Iain is the CEO of the ‘for purpose charity,’ the EAUC. Their new mission is to make sustainability the new norm across all aspects of university and college delivery and to unleash the transformational power of education to realise the UN Sustainable Development Goals. Previously Iain pioneered sustainability across the school and Further Education curricula and prior to that led a wide range of cross-community development and reconciliation activities in Northern Ireland. Iain was inspired after working in community and agricultural development in Kenya, that he is now establishing a food security and enterprise project in Karamoja, Uganda. Sue Stockdale is an inspirational speaker, whose achievements in business and adventure have inspired 1000s of leaders worldwide to step out of their comfort zone and achieve extraordinary results. She is the first British woman to ski to the Magnetic North Pole, has represented Scotland in athletics and was recognised by HM The Queen as a Pioneer to the Nation. Sue now works as an executive coach, facilitator and leadership development specialist with corporate, not for profit and public sector organisations worldwide. Using dramatic images, and thought-provoking anecdotes, Sue speaks from the heart with passion and authenticity. She will talk about the importance of inspiring others to maximise their potential, through paying attention to strengths and developing the mindset for success. After an initial career in architecture, and an early foray into Politics in the 1970s, Paul went on to become a board member for Shelter, manage a local newspaper group in the South West and, working as a consultant, advised a variety of national environmental organisations. Paul was elected MP for North Cornwall in 1992 and during his Parliamentary career he has held a variety of posts including Liberal Democrat spokesman on agriculture and rural affairs, 1992-1997; on transport, 1994-1995; on food, 1997-1999; Liberal Democrat Chief Whip, 1997-2001; Shadow Leader of the House of Commons, 1997-2005. Paul retired from the Commons ahead of the 2005 General Election and was appointed as Liberal Democrat working peer. Paul is the Liberal Democrat spokesman in the Lords on constitutional reform issues. He served both on the 2006 Joint Committee on Conventions, which examined and set out the relationship between the Lords and Commons, and on the 2012 Joint Committee on the Draft House of Lords Reform Bill. He continues to specialise on issues relating to reform of both Houses of Parliament - with greater democratic accountability as the principal objective. Paul was appointed to the Privy Council in 2014, 40 years after his first election in Cornwall and shortly prior to the publication of his book 'Who Decides? ', an account of 50 years of political decision making. He also chairs the Faiths and Civil Society Unit at Goldsmiths, University of London, and plays an active role in both the Youth Hostels Association and the InterClimateNetwork. Kemal has 18 years’ experience in the international development and voluntary sector. Since 1999 he has worked for a number of non-profits and development organisations from the very large (Christian Aid) to the very small (Village Aid). This has included 8 years’ experience in programme management (across Africa, Latin America and Asia) and three years’ as Chief Executive of a small NGO with a focus on education and learning in West Africa. Kemal has a deep interest in, and has pursued a career that has enabled him to challenge, exclusion and inequality in multiple forms. He has a broad set of skills that have enabled him to facilitate growth and change in diverse cultural contexts with experience in strategy development for organisational transformation, project research and design, programme management and partnership development. He has helped to secure over £1,000,000 funding for, and led on, transformative programmes in education, conflict mediation, sustainable natural resource usage and disability rights. Kemal holds a degree in Social and Political Sciences from Cambridge University and a PhD exploring educational exclusion and caste discrimination from Canterbury Christ Church University. Olivia (Liv) is the Strategic Support Manager at United Purpose (UP) and works at the heart of the organisations management systems. Working with UP, she has helped raise sights to ensure effectiveness and efficiency in a motivated team. After graduating with a Law degree in 2010 (specialism Human Rights) Liv worked in Uganda, teaching and co-ordinating projects to improve school facilities in Bweyale, an area particularly affected by conflict. This experience consolidated a desire to work with communities to build sustainable paths out of poverty which she is fulfilling with UP. Liv is delighted to also work with Caplor Horizon’s in supporting organizations to make a difference in the world and is currently studying a MSc in Poverty Reduction; Policy and Practice, enjoys running, cycling (very leisurely! ), traveling and cooking. I have been in business for over thirty years, with several successful start-ups to my name and I have been a director of a diverse range of companies. I currently run a medium sized manufacturing company in the UK, Brick Fabrication Ltd. I have wide experience of personal and organizational development having been an Associate Course Director at The Leadership Trust, the UK's largest provider of open development programmes for twenty five years, working internationally with boards, top teams and individuals on leadership development. Most recently I have designed and delivered a wide range of leadership development and organizational effectiveness sessions as part of my wider contribution to Caplor Horizons. This has been with a range of not-for-profit organizations, such as the International Federation of the Red Cross and TechnoServe at an international level and with Trussell Trust and Salters Hill in the UK. All this gives me a good insight into what makes organizations work well, or not at all! I believe if we can make things simple, it gives people the confidence to try behaving differently, enabling them to make positive change in the way they approach both leadership and management. I am married with grown up children and live in south Wales on the Gower coast, which enables me to enjoy walking, swimming, the outdoors and running in endurance events far too late in life to be any good. Islay is a recent graduate from Birmingham City University where she studied Art and Design. Islay's main focus in her final year was theatre design and she created an abstract lighting design for Shakespeare's The Tempest. In addition to using her Art and Design based skills for her degree, Islay also enjoys turning her creative mind to photography in her spare time - capturing landscapes across the country, often whilst out walking and climbing in the mountains. Now working at Caplor Property, Islay is the Property Management Assistant where she uses her design skills in collaboration with her organisational skills. Islay joined Caplor Horizons as an Advisor in late 2015. She is passionate about being able to engage her creative skills and design experience to help Caplor Horizons with their creative media and to help them inspire and enable leaders to deliver a sustainable future. Samson is an experienced international development director, programme/grant manager, strategist and fundraiser. He has experience and expertise in all functions essential for the effective running of an international development organisation, including strategic planning, management (people, programmes, finances), fundraising, relationship building and networking. Over the past 33 years Samson has worked in 20 countries in Africa, Asia, Europe and Oceania. Samson has a BA degree in Accounting, a PG Dip in Business Analysis and an MBA. He first worked for the Ethiopian Government in the Ministry of Economic Planning and Development (1984-1991). He then worked for FARM Africa from 1991-1996, before joining Concern Universal in 1997. Initially based in Sierra Leone, he then moved to work in Malawi, where he led the programme for 13 years. The Concern Universal Malawi programme has an annual expenditure of over £5 million with more than 200 staff; also the organization has a microfinance subsidiary there called CUMO (serving over 50,000 clients). The Concern Universal Malawi programme is considered by many to be a leader in the sectors it works in; e.g. for its involvement in Water and Sanitation where over 700,000 have gained access to clean water. Hannah Newcomb is a Corporate Social Responsibility specialist working within the sphere of ethical trade and supply chain management for a leading retailer. Her current role sees her leading a team in the management of labour standards and fair trading across supply chains covering food, electronic goods and children's clothing. Over the past seven years, Hannah has worked in several global CSR roles with retailers, including managing a multi-million pound portfolio of development projects in The Co-operative's supply chain; and managing strategic corporate partnerships with charities including Oxfam, CARE International UK, and The One Foundation. Jean used to be the Partnerships and Programmes Co-ordinator at Caplor Horizons. She believes that people are the building blocks for positive change in our world. Her choices and ambitions reflect this. Jean has spent time leading young volunteers in Sub-Saharan Africa on inclusive education projects as well as supporting development through outdoor learning. Caplor Horizons provided her with an opportunity to further explore her passion in the development of people and teams as well as the role these people play in shaping the organisations they are a part of. Jean has worked with a range of organisations; including facilitating a leadership and team building retreat for TechnoServe Uganda, conducting interviews and research to support an evaluation for United Purpose Malawi (formerly Concern Universal) as well as supporting the extensive consultation, facilitation and write up with the development of Misean Cara’s new strategy. Jean has also obtained a Masters in NGO Management at the Centre for Charity Effectiveness, Cass Business School. Spenser is a highly energetic Director with proven international business experience in the global utilities sector (electricity, gas, rail). He offers a rare combination of outstanding strategic, financial and technical skills. His career is built on foundations of electrical engineering, project, procurement/contracts, asset and investment management. Utilising strong interpersonal skills and hands on capabilities, he has directed large teams and initiatives in a range of commercial and technical disciplines from concept through to successful delivery of investments. We have an expanding team of Advisors willing to contribute their time on a voluntary basis. Below are the members of our board. Clicking on the photos will show you the relevant biography. David is a solicitor and chartered secretary. He has worked in private practice in the City of London and Birmingham. He worked as an in house lawyer for international companies for over 25 years with a wide brief which enabled him to remain a legal generalist as well as developing an interest in corporate governance, finance and general management. He is also involved in a number of charities. He is married to Ann and together they have 4 children. Rebecca is currently the Commercial Finance Manager at Haygrove working particularly in the areas of forecasting and margin improvement in additional to the interpretation of the monthly numbers. Having graduated from Oxford University with a Physiological Sciences degree, Rebecca moved into accountancy as is a member of the Institute of Chartered Accountants in England & Wales (ICAEW). She has previously prepared and audited small and medium sized Charity accounts and is currently enjoying the Caplor leadership programme through Haygrove. Faaria has spent her career in the charity sector. Currently she works as the International Projects Officer at The Royal College of Pathologists, supporting the professional development of overseas doctors, and supporting global health projects to build pathology and laboratory capacity in low to middle income countries. Prior to this Faaria worked at INASP where the project 'Leading in the Library' introduced her to the Caplor Horizons team. Faaria holds a Geography BSC (Hons) from Kings College London. Matthew has a degree in Agricultural Economics and Masters' degrees in both Development Economics and Responsibility & Business Practice. He joined Concern Universal in 1994, working as Programme Coordinator in a then fast-expanding Sierra Leone programme. After a spell in Concern Universal's UK office he became Country Director in Bangladesh. From Bangladesh he relocated to a senior citizens charity in Pennsylvania, USA. He returned to Concern Universal and the UK in 2000, when he was made International Director. He became Chief Operations Officer in 2014. Matthew lives with his family in Herefordshire and has a wide range of interests. He was Chair of Governors at a Primary School in Hereford. Laura is the Global CSR Manager for Jaguar Land Rover. She provides strategic leadership and leads JLR's Global CSR programme, which has improved the lives of >1m people to date through a suite of projects, and was recognised as the ‘Best International Sustainability Programme’ in the 2016 UK CSR Awards. She also oversees JLR's employee volunteering programme. She has over fifteen years’ experience as a CSR and Sustainability specialist and has held previous roles at PricewaterHouse Coopers and The Co-operative Group. Laura was recognised as a CSR ‘agent of change’ in 2015 by a national awards scheme (ACRE365) and sits on the steering group for the London Benchmarking Group – an organisation that helps guide how organisations can best measure and manage the social value they generate. She is IEMA qualified and completed a Post Graduate Certificate in Sustainable Value Chains in 2017 – a course run by the University of Cambridge Institute for Sustainable Leadership. Gareth Williams has a deep rooted and evolving passion for the sustainability agenda. This has led him to develop from his family farming roots into a diversified rural business that includes a renewable energy business, property rental and farming activity based from Herefordshire. Three generations of the Williams family have operated from Caplor since 1923. A wide range of skills and expertise are rooted around his passions and experience based on sound academic input and ongoing personal development. An agricultural graduate in 1990, ongoing development centred on; leadership, management, counselling, financial, public speaking, environmental, local council, UK and overseas consultancy. Most recently input from the Herford director forum and Goldman Sachs growth programme at Aston Uni. Caplor Energy - From personal passion and evolving practically from experience within Caplor’s building and renovation enterprise, CE was established in 2007 and specialises in the design and supply of renewable energy systems for businesses, communities and home owners. Caplor Energy is proud to be one of the region’s leading installers by both reputation and market share. Caplor has offered innovative community schemes that have allowed a significant number of community organisations to benefit from renewable opportunities and in recent years is spreading that experience into the commercial sector with its own expanding networks of systems. Caplor actively engages within the renewable industry through membership of the British Photovoltaic Association, Board membership of Sustainability West Midlands and HiTA to name a few engagements. Caplor has been recognised through a host of local and national awards for their contribution to the community, small business and the sustainability agenda, most recently receiving national accreditation as an NFU supplier. Lorna is Co-Director of Caplor Horizons. Previously, her work included leadership roles within the UK not-for-profit sector. Highly self-motivated, Lorna has a broad base of skills, a depth of understanding of sustainability and a track record of turning ideas into reality. She has consistently focused on personal, organisational and international development. Lorna's first degree focused on anthropology and comparative religion. At Masters level she studied Environmental Ethics. Outside Caplor Horizons, her interests include ongoing personal development and enjoying the adventures of parenthood! She is a keen appreciator of other cultures, including through literature, art and dance. Rosie is the Programmes and Partnerships Coordinator at Caplor Horizons. She has recently graduated with a 1st class degree from the University of Cambridge in the UK. She is motivated to address issues relating to sustainability, poverty reduction and gender equality. Rosie has spent time working in the UK not-for-profit sector and in Kenya, where she contributed to educational initiatives with rural communities. As part of the team, Rosie works closely with the Advisors and representatives of organisations we work with on activities to help bring about effective change. Rosie has a great passion for fine art and scoring goals on the hockey pitch! Ian is Co-Director of Caplor Horizons. Following studies in Agriculture, Management and Marketing, he completed a PhD in Strategy and has held honorary positions at Cass Business School and Worcester Business School. He is a former long-standing CEO of an International NGO and a specialist in organisational effectiveness and change. He is also a highly experienced facilitator and enjoys working with diverse organisations and teams. The NGO that he led for 16 years is United Purpose (formerly Concern Universal). During this time it grew successfully from £2m to £23m expenditure per annum. He is also non-executive Director of Haygrove, a dynamic international horticultural business (over £100m turnover), and Chair of the Advisory Board of Caplor Energy, a leading renewable energy business. Ian greatly enjoys all sorts of things and most of all being a grand-parent! We have a number of committed members who generously make regular financial contributions to our organisation.